Remember the unique timepiece that belonged to Marvel hero Dr Stephen Strange, brilliantly played by Benedict Cumberbatch? Yes, the one with a romantic engraving, “Time will tell you how much I love you — Christine”. 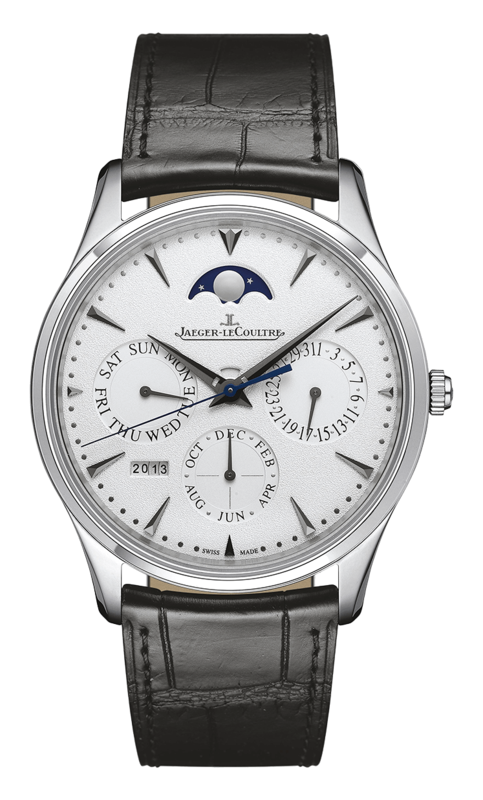 Jaeger-LeCoultre’s Master Ultra Thin Perpetual in stainless steel was that special co-star in Dr Strange. The Edge BRC Value Creator: Outstanding CEO of Malaysia 2018 receives the white gold version of this prestigious timepiece, courtesy of Jaeger-LeCoultre. The case, with its comfortable 39mm diameter, will first be examined sideways by watch connoisseurs and collectors. Made of 18-carat white-gold , the case comes with a grained silver-toned dial. While they will note the streamlined lugs and slim bezel that endow the watch with grace, their attention will no doubt focus on its amazing 9.2mm thickness — a new tour de force designed to house Calibre 868, the manufacture’s ultra-thin automatic perpetual calendar movement. The watch’s mechanism is so sophisticated that it takes into account the unequal length of months of 28, 30 or 31 days. The automatic timepiece’s perpetual calendar requires no manual adjustment before March 1, 2100, as only century years are an exception to the four-year cycle governing leap years. The moon-phase display will faithfully portray the various states of the Earth’s satellite over the next 122 years. Just above the dial centre, a small rectangular window, generally in the same shade as the background, gradually turns red as evening falls. It indicates the period during which it is preferable to avoid any adjustments. This is to avoid potentially damaging the gear wheels that are already engaged in preparing the change of indication that takes place daily at exactly midnight. Nonetheless, well before the alarm awakens its owner at the dawn of a new day, the opening will have regained its usual shade and melded seamlessly into the dial background. the very essence of horology. A major player in watchmaking history since 1833, Jaeger-LeCoultre is engaged in a tireless quest for excellence, supported by a unique spirit of invention.